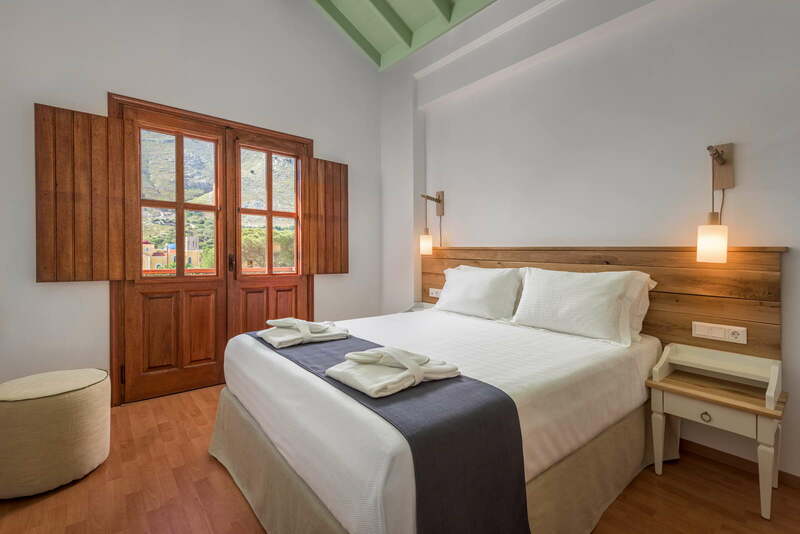 A residence for your holidays in Symi. 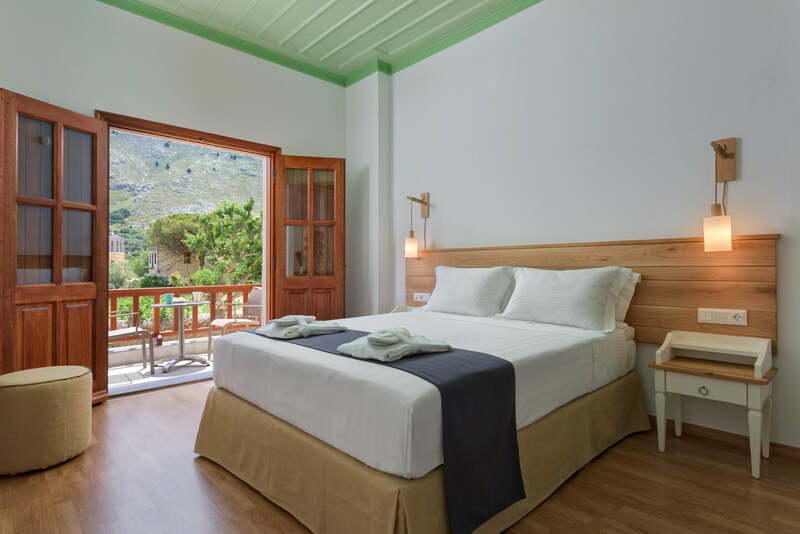 Welcome to AˑSymi Residences, a tranquil destination in Pedi cove on Symi Island, one of the most picturesque islands of the Dodecanese. Welcome to an island where tradition still remains unspoiled and modern times seem to not have touched it. For serene and peaceful vacations you have come to the right place, a place where time stands still and your mind comes to rest, a place that will capture your heart forever. AˑSymi Residences in Pedi cove is a beachfront apartment complex built in strict accordance to the traditional Symian architecture, with the varying coloured exteriors, the artistic gables, the curved arches, the terracotta roof tiles and the pebble stoned gardens. Wood and stone come together in harmony with the dominating rocky terrain, soft hues of blue and olive green blend with the calmness of the sea, a warm feeling of nostalgia for a place untouched by time and its warm, friendly people who seem to belong in a distant era. 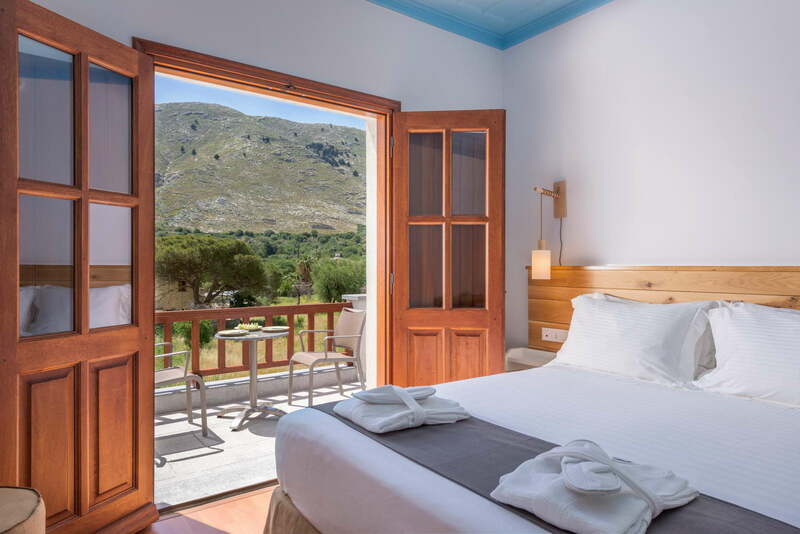 The complex is surrounded by quaint, Mediterranean gardens where you will enjoy invigorating mornings and casual, laid back evenings, sipping your drink and gazing at the small fishermen’s boats in the serene blue waters of the Pedi cove. The true character of the people of Symi can only be witnessed by the heartwarming way they welcome and treat their guests. It is etched in the traditions of the land, the heartfelt smiles and the good-humored attitude of the Symians. Hospitality is probably the most treasured trait of the people, and one they are more than happy to show off. The people of AˑSymi Residences take great pride in being the most jovial hosts you have ever met, making you feel like a friend, like a member of the family. They are the ones who will rush to welcome you, to offer refreshment and a homemade sweet, they are the ones who will tell you were to go and what to see, and they are the ones who will ask you how your day was. 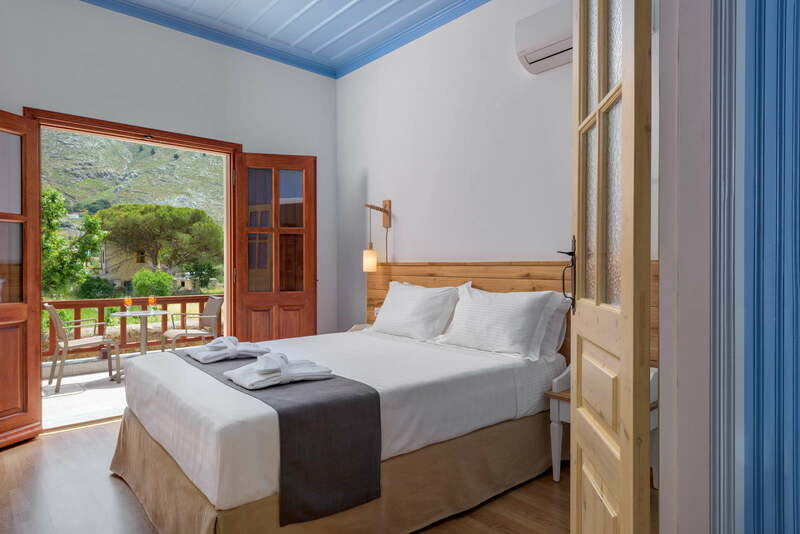 AˑSymi Residences is so much more than traditional, comfortable accommodation; it is your residence away from home, a tranquil sanctuary in a dreamy location amongst friends, amongst family.